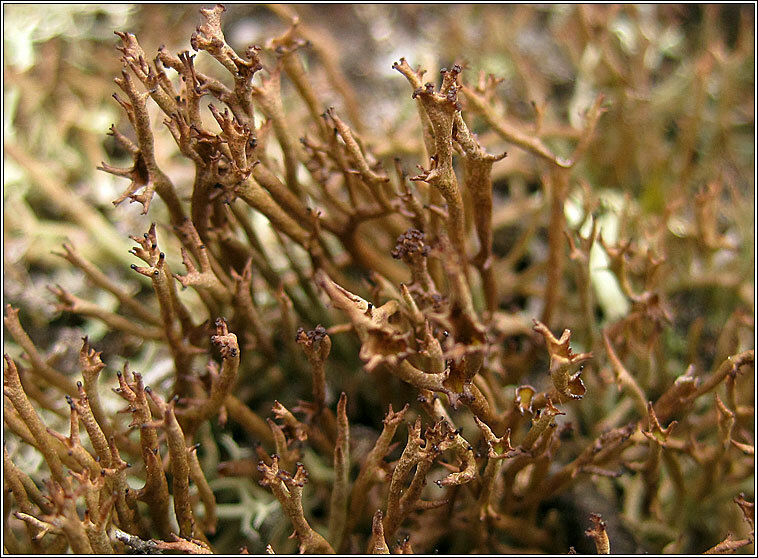 Can be common in lichen-rich heathland, bogs and on decaying tree trunks. Most frequent in the North and West. 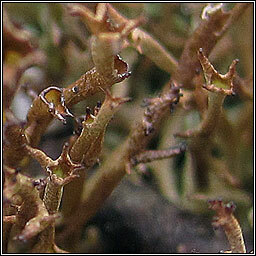 The small basal squamules are followed by smooth, upright, irregularly branched brownish-grey to olive-brown podetia with open axils and pale reticulations. 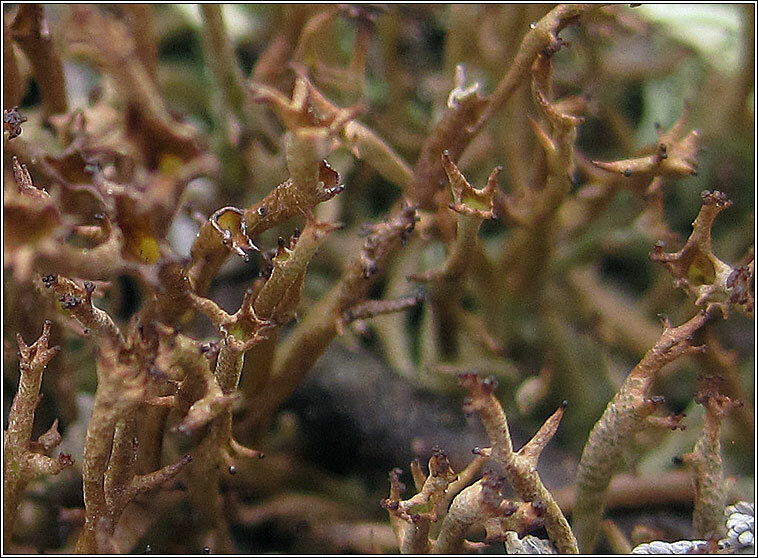 Podetia margins have narrow cups or finger-like extensions that can develop into one-sided tiers.